After only a short (year-long) delay, the Drishdi pattern is now available on the pattern page and through Ravelry. 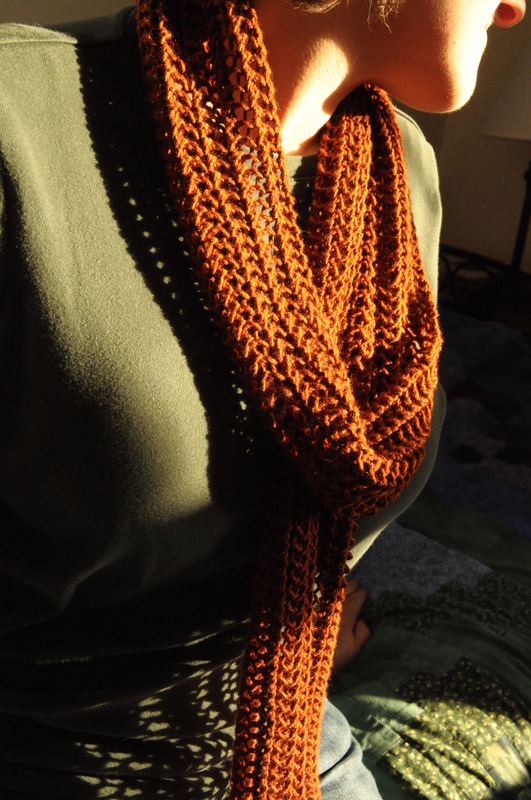 As promised, Drishdi is a free pattern; it came to me freely, and so I pass it on to you. Knit, and enjoy. Her sister scarf, Shanti, is also for sale on the pattern page. A simple modulation on the Drishdi design makes a stunning difference in texture. 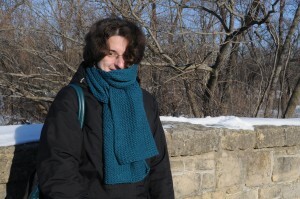 Both scarves are simple to knit, using only knit, yarn over, and knit2tog stitches. They are the inaugural pair of patterns for a new series exploring the essence of lace. called the Namaste Series. The Namaste patterns will feature highly textured, simple knitting intended to show off the qualities of a beautiful yarn while creating a meditative knitting experience. Whether a raw beginner eager to try lace for the first time or an experienced knitter seeking the soothing rhythm of a basic pattern, I hope you will find something here. I like your pattern concept! I tend towards more complex lace, typically, but sometimes I think I need to remember that some yarns just need a little showing off. And sometimes it is nice to have something just ‘relaxing’ on the needles. DesigKnit is powered by	WordPress 4.8.9 . Page generated in 0.284 seconds using 35 queries.